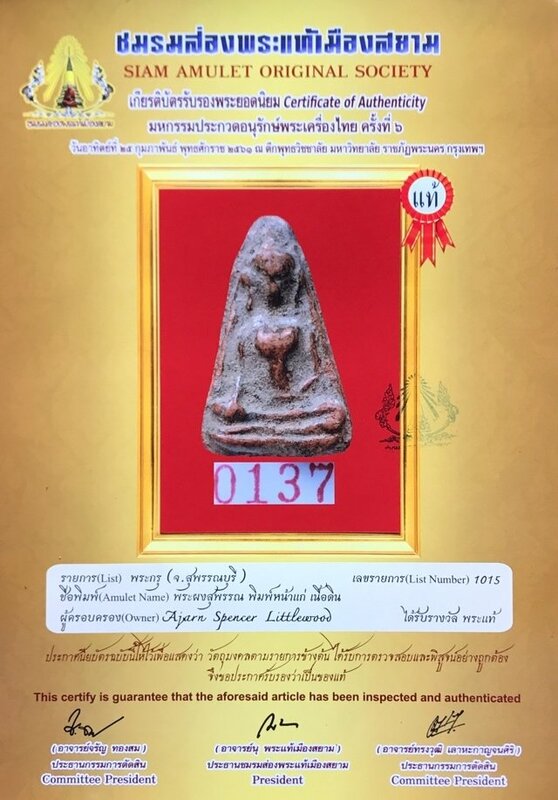 An all time 'top 5' classic amulet of the Benjapakee Family; Pra Pong Supan Pim Hnaa Gae, in Nuea Din, with certificate of authenticity in red sacred baked clay. 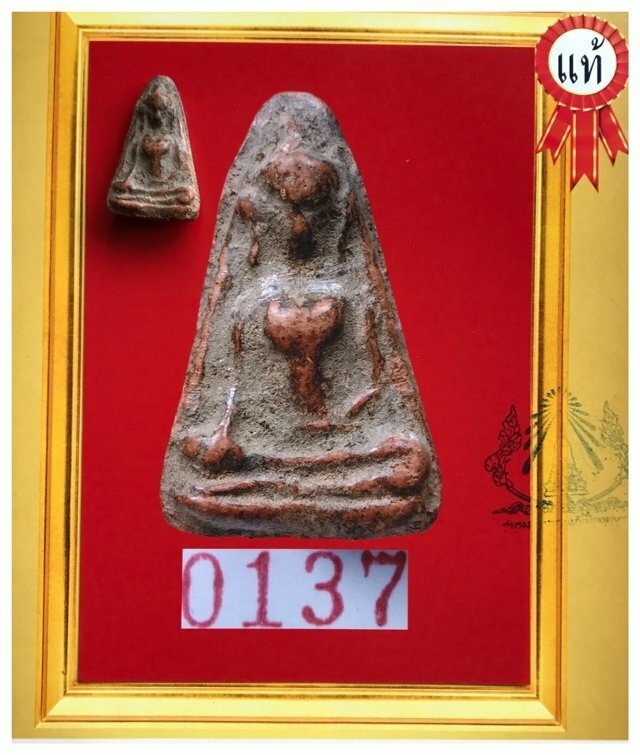 A Master-Class status amulet of the High End Category of Pra Kru Hiding Place Ancient Amulets. 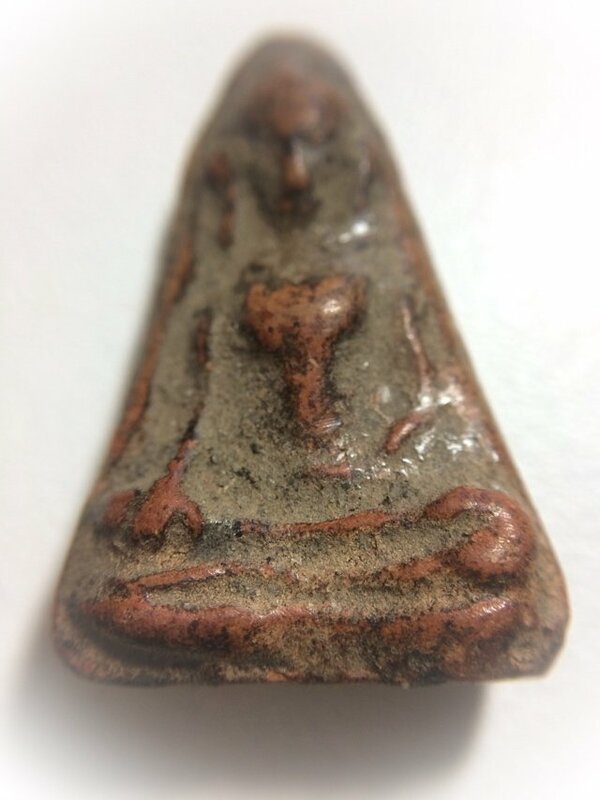 The Pra Pong Supan amulet is known for its powerful Puttakun Metta Maha Niyom Merciful Blessings and Kong Grapan Klaew Klaad Protective Power. This amulet comes with A4 size certificate of authenticity included. 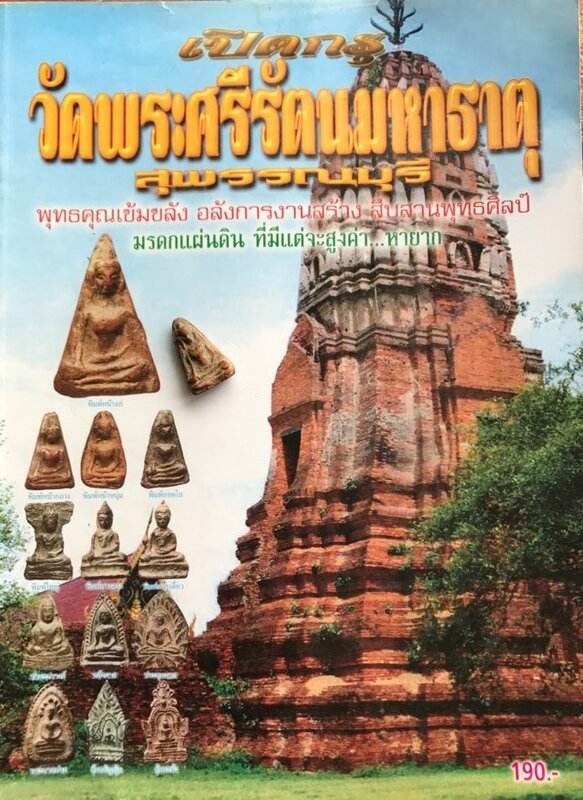 The Pra Pong Supan Kru Wat Pra Sri Mahatat is the Number One Amulet of all Time for the Province of Supanburi, and an eminent member of the top 5 Benjapakee Amulets of Historical Fame and Legend. 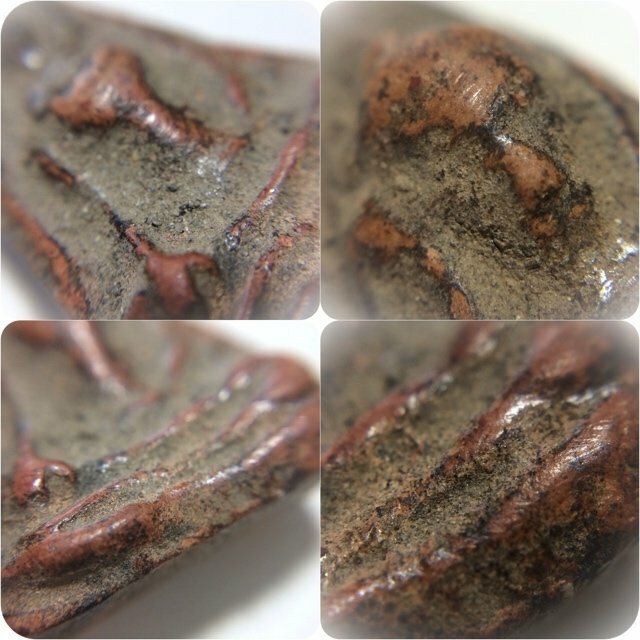 The Pra Pong Supan of the highest preference is the Pra Pong Supan Nuea Din Phao baked clay amulet, made from sacred earths of the Supanburi Province, which were mixed with sacred magical herbal powders and bound into clay with holy water. 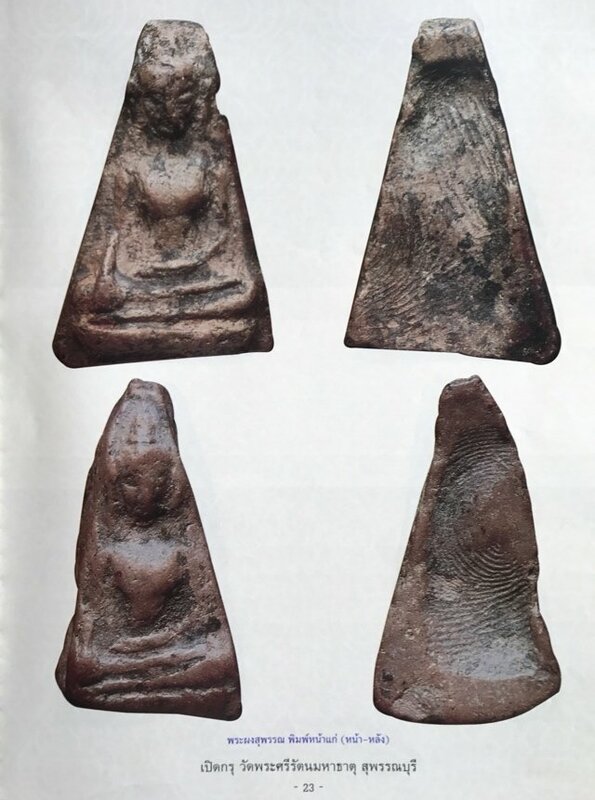 The amulets were baked until the clay became hard but smooth and dense like marble, which is a texture that modern 'Nak Niyom Pra' amulet aficionados call 'Nuea Neuk Num Seung Jad', which means 'soft and smooth to the touch with highly refined features'. 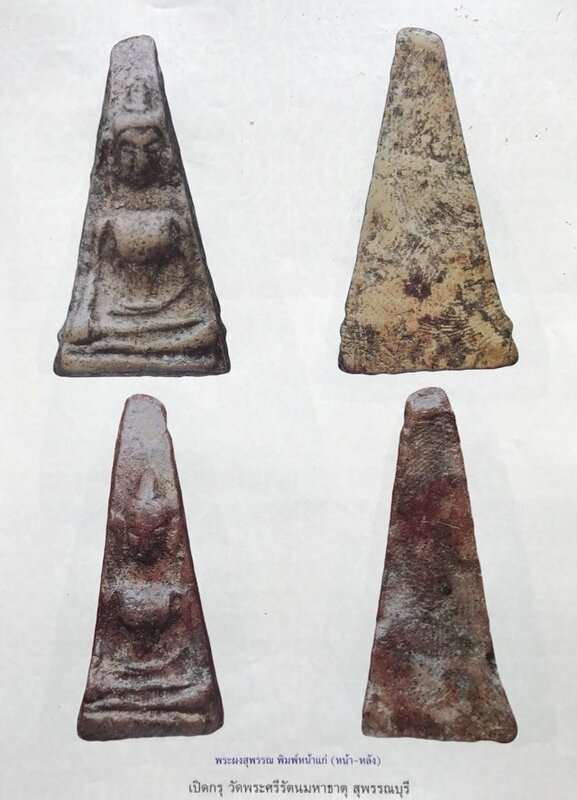 There were also a very small amount (one potful) of leaden Pong Supan amulets found, which were found residing on the upper section of one pot, and are known as the Pong Supan Yord Tho, and are the rarest and most sought after of all Pra Pong Supan of the Kru Wat Pra Sri Mahatat. 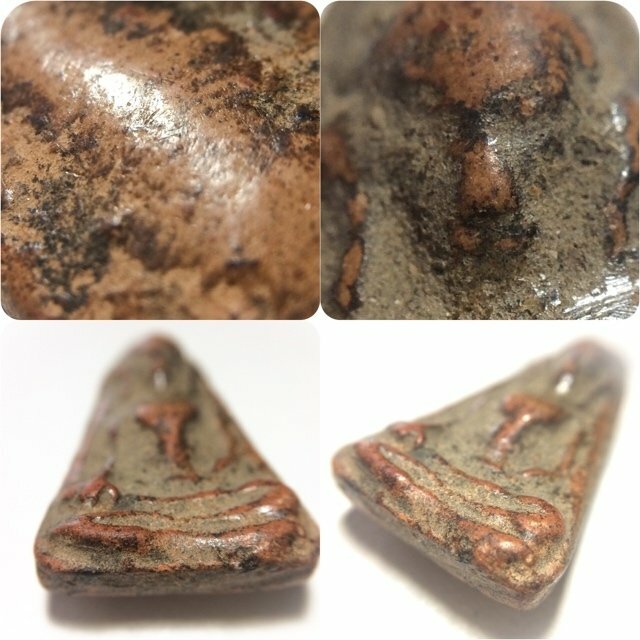 We shall be covering the documentation of the Pim Yord Tho in a different article on the pages of our website. 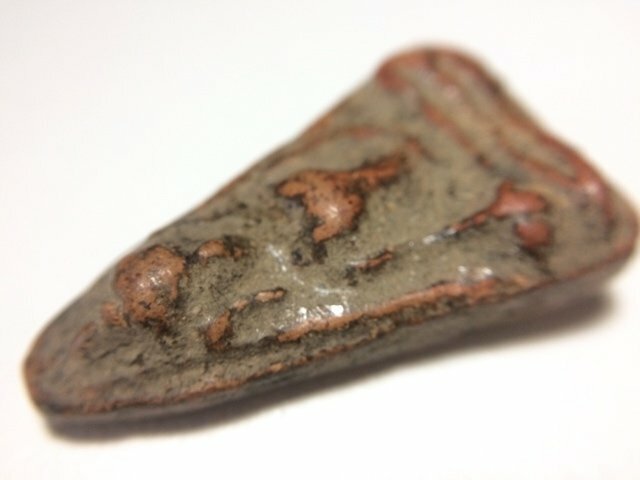 The method of baking the amulets resulted in a very hard and resilient amulet that does not break easily, which has contributed to its preservation over many centuries. 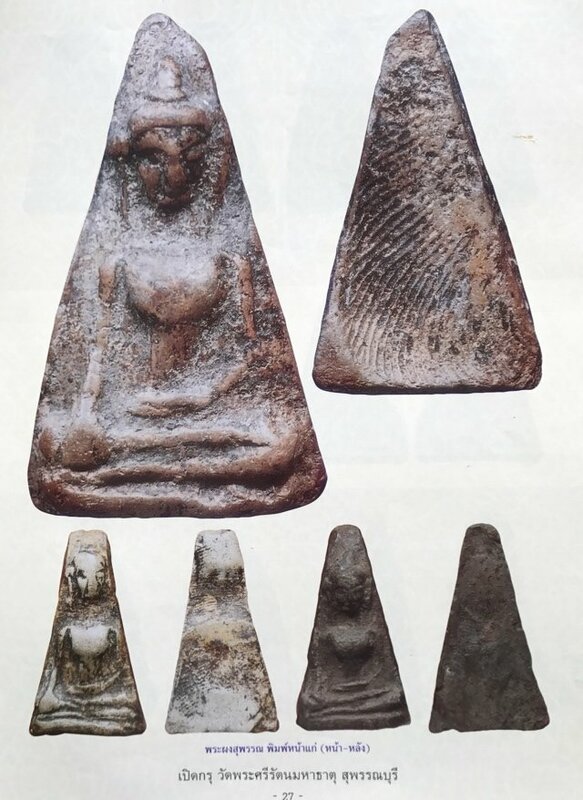 The features of the Pra bordered edges and outer frame of the various models (Pim) of the Pra Pong Supan Amulet are highly varied, and cannot be said to fit any rigid form. Some have four or five sided edges, some are completely cut to shape, some have wider edges, and others thinner edges, some are even others uneven. Some may be tapered, whereas others have the tapered top cut off flat. The Pim is notable for its wide nose and slanted large eyes, with the tip of the nose almost reaching the subtly smiling mouth of the Buddha image. 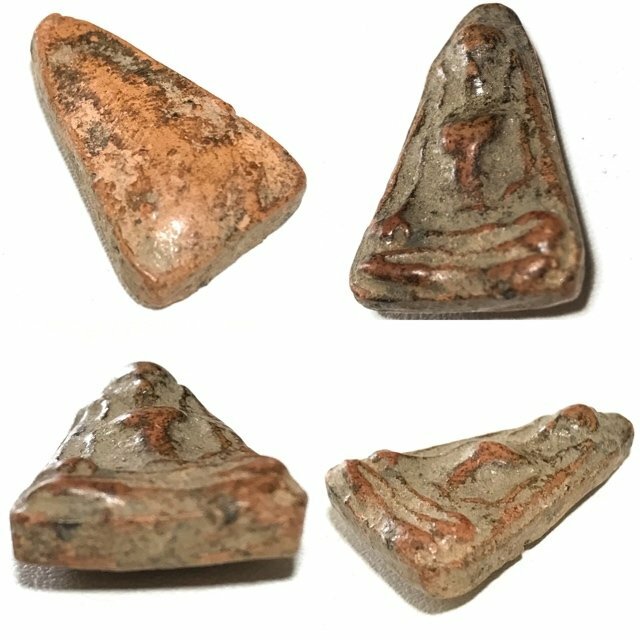 The ears have a notably humanlike shape with anomalous forms ('Dtamni'), that reveal the authenticity of the amulet, through the inimitable idiosyncrasies of the block press, which are ever present despite the individuality of each amulet. 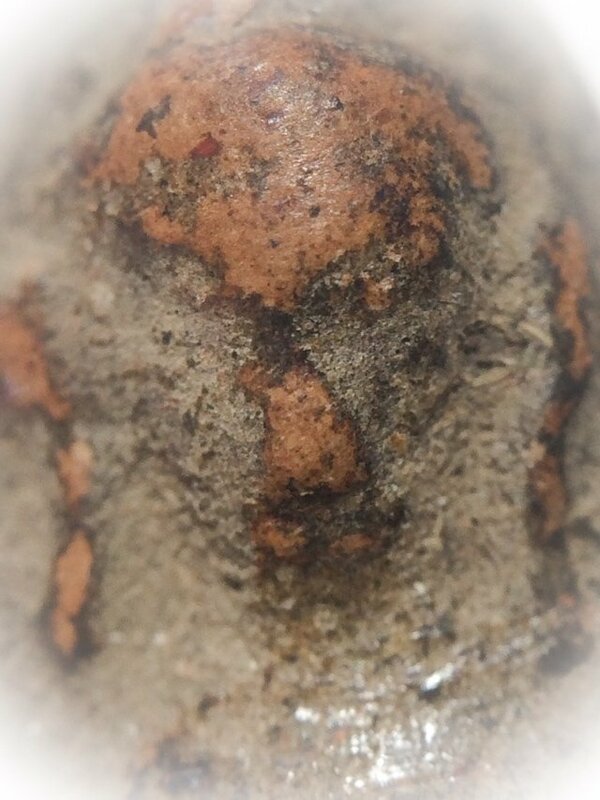 One thing most Pra Pong Supan have in common is the presence of thumb or fingerprint markings. Another classic and essential feature of the Pra Pong Supan Wat Pra Sri Ratana Mahatat is that due to being buried under the earth for centuries, the Kraap Kru earth residues which are seen stuck to the surface of the amulets within the deeper recesses such as the armpits and ridges between finer detailed features. 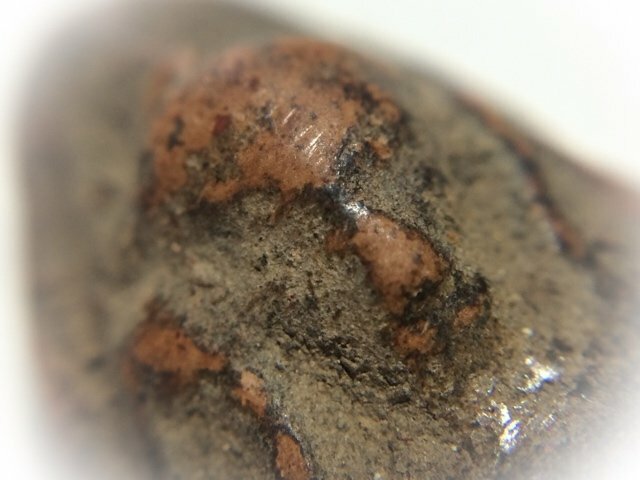 These residues are completely affixed and one and the same with the clay, and cannot be removed by simply scratching it off with a fingernail. The Pra Pong Supan is a perfect choice of Amulet for Ladies or Children, but is also a very preferred and popular amulet for Males to wear. 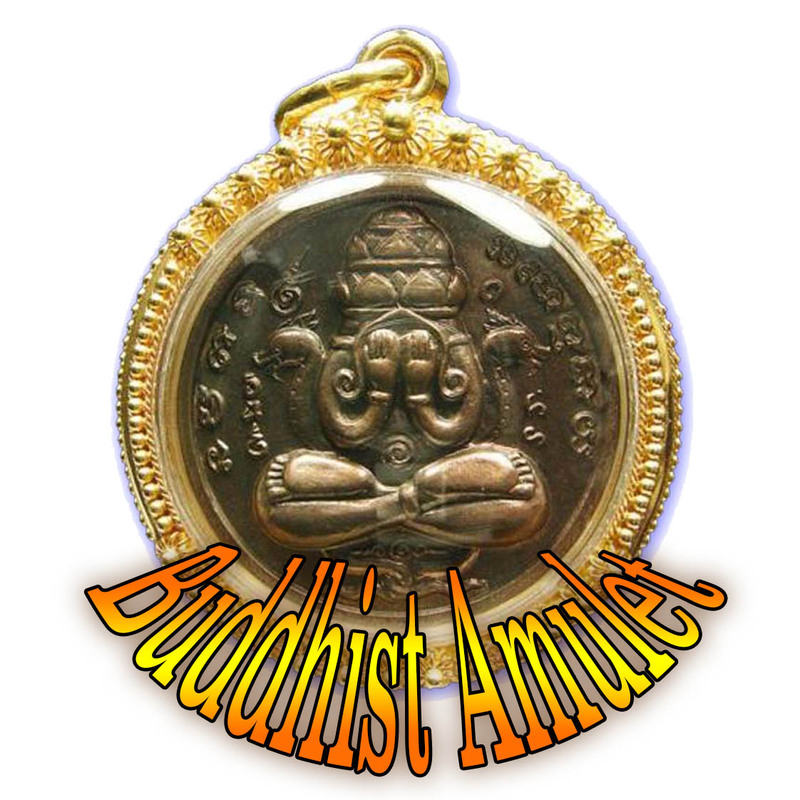 We have before us a Sacred Amulet whose Religious Value is of course that of a True sacred Amulet from the Master Class Category. 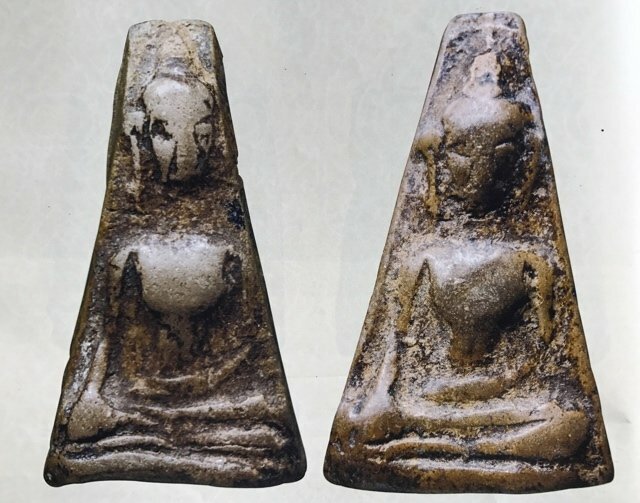 The Pra Pong Supan amulet is an image of the Buddha seated in the Mara Wichai posture of conquering the Demon Mara in the style of the U-Tong Periodic Era. The Buddha Image is seated on a single tiered dais, with a large head, graceful arms and protruding chest. There are various Pim (Models) of Pra Pong Supan, ranging from the Pim Hnaa Gae, Hnaa Num, Hnaa Klang, and other lesser known forms. 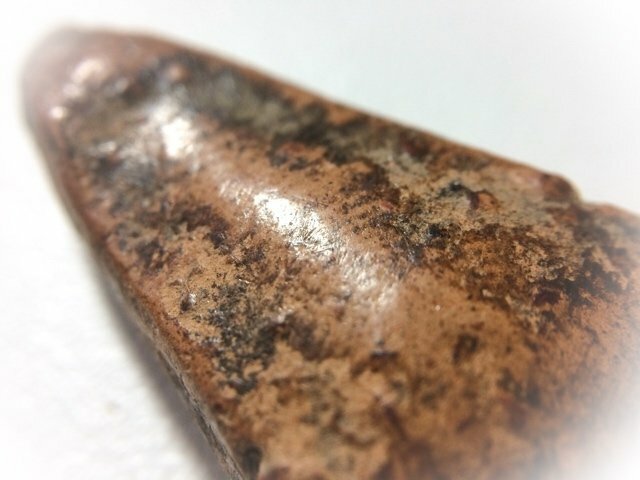 The Pim Hnaa Gae (old face) has one single type of face model but still has many different appearances, because of the various stages of heat during the baking process, which caused some amulets to experience shrinkage or curvature, or other anomalous reshaping during the process. 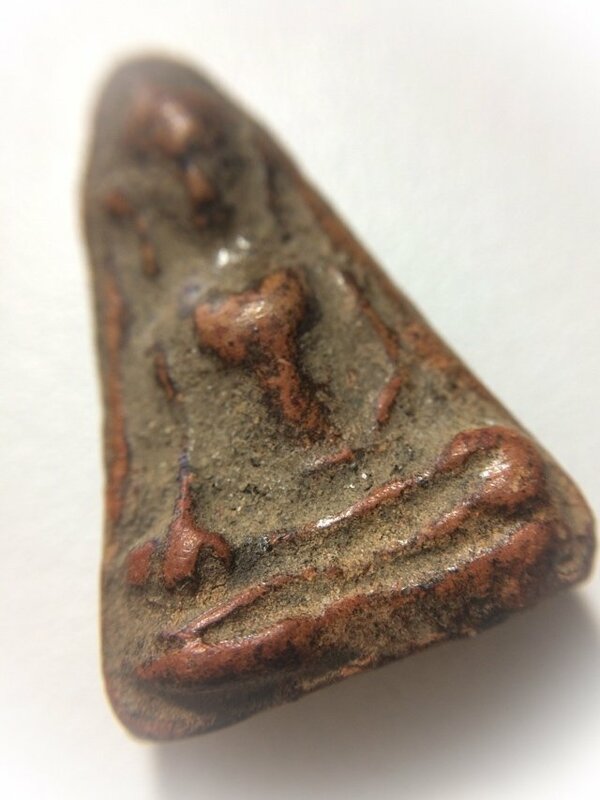 Some may even have similar triangular appearance to the Pra Nang Paya, another Benjapakee amulet of Immortal fame. 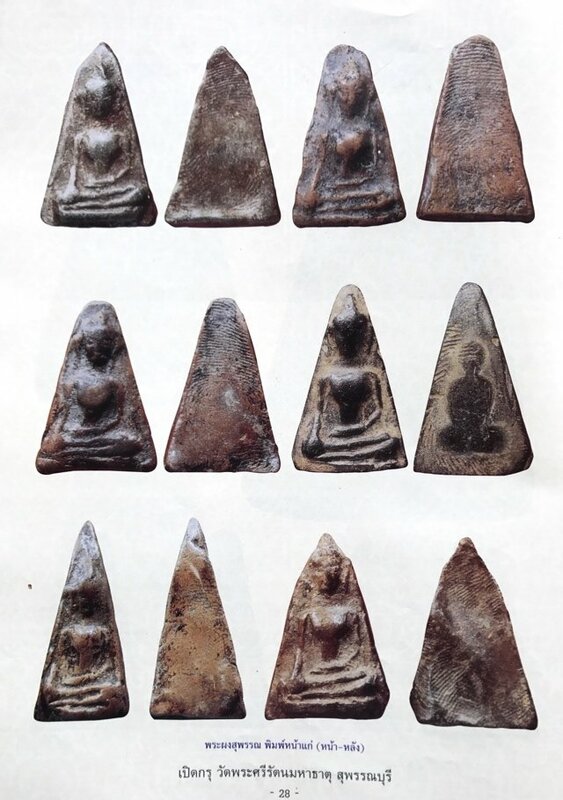 Various other amulets were also found including the Pra Mahesworn, Pra Ta Maprang, Pra Patum Mas, Pra Pim Lila (many versions), Pra Nakprok (small and large), and the Pra Sum Rakang. 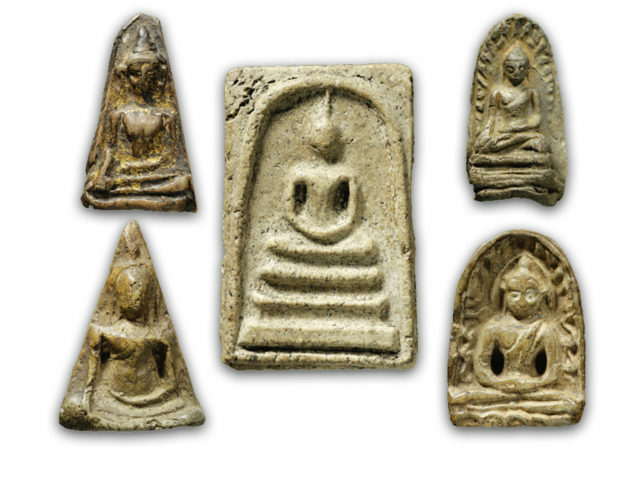 The Pra Pong Supan and Benjapakee Class Amulets are truly world class amulets that receives the esteem and faithful reverence of all Thai Buddhist People of all social strata, and which is considered part of the Cultural and Historical heritage of the History of Siam. 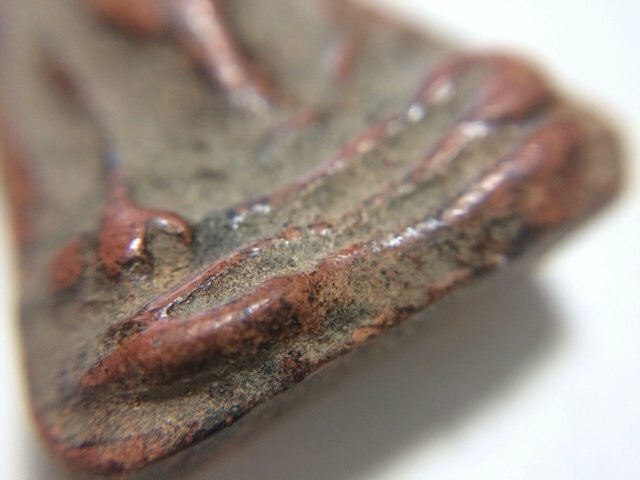 They are amongst the most difficult of all amulets to find at any price, and are mostly already worn since generations by the same family members as handed down family heirlooms of their ancestors. 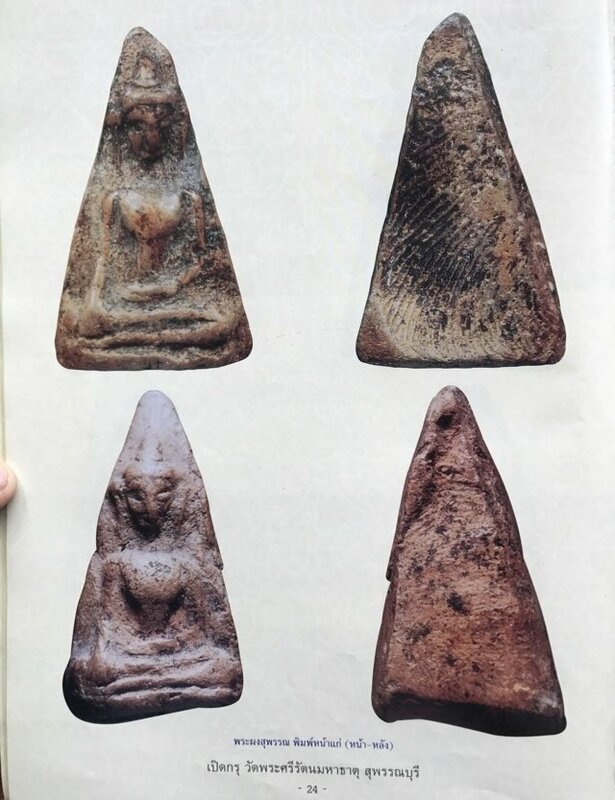 The rest lie in the hands of the lucky, and of course the high end collector showrooms of Thailand's Amulet Societies and Non Profit heritage Associations, as well as the museums of the state and of major temples. 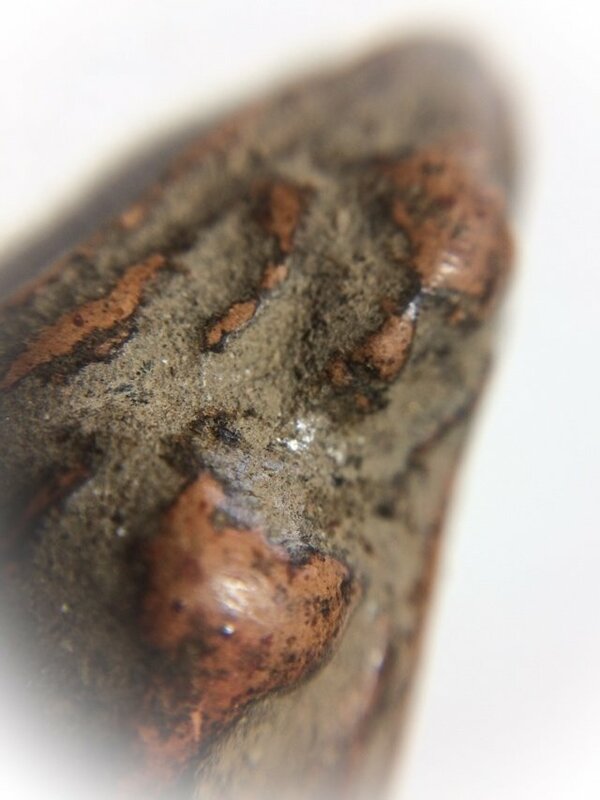 Above; Macro Closeup of the Sacred Clay and the Kraap Kru earthen substance affixed to the muan sarn from centuries of burial within the hiding chamber. 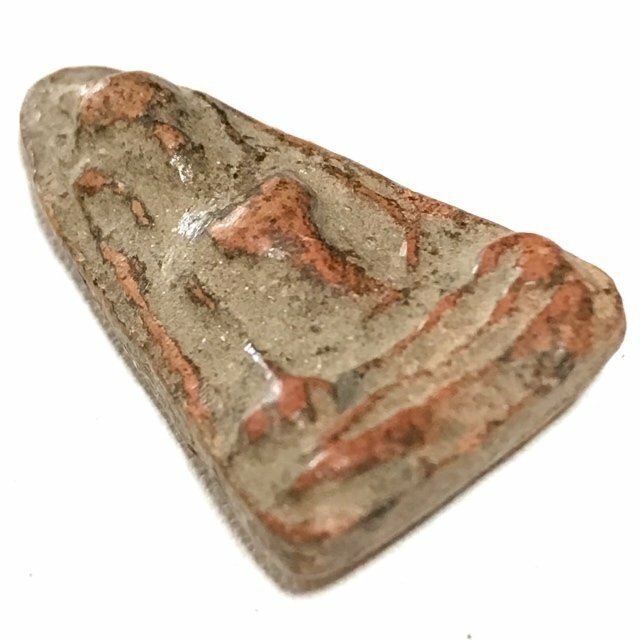 It is said that in the year 1265 BE, the Ruesi Hermit Pilalai decided to make a series of powerful amulets with truly effective powers. At that time the ruler of the Kingdom Pra Sri Tanmasokea Racha was a faithful devotee to the four great Ruesi Sages, who brought a large collection of magical herbs, minerals and summoned the angelic beings of the celestial realms to assist with the empowerment ceremony on the immaterial planes. The great Pra Maha Thera Bpiya Dtassasisri Saributra was present to preside over the blessing ceremony, and assist with empowerment and the hand molding and pressing of the Pra Pong Supan. 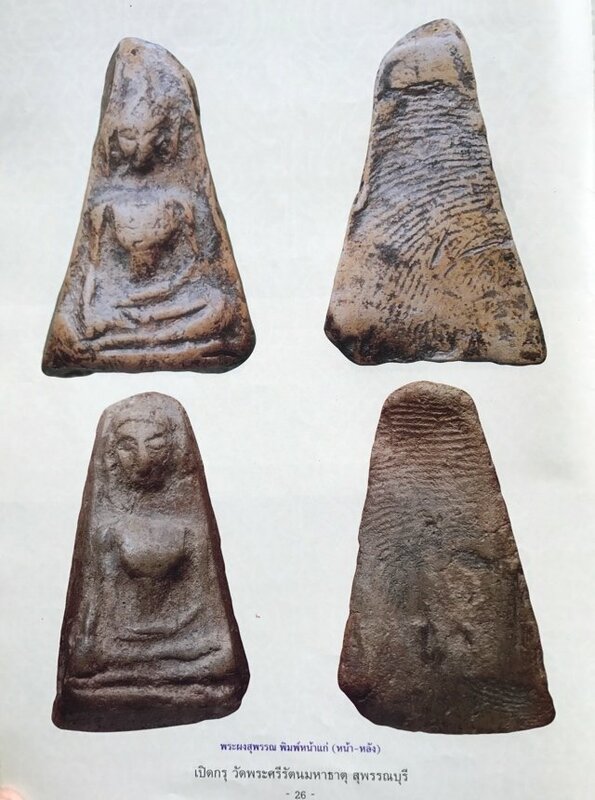 The muan sarn sacred clay was given the name of 'Nuea Rae Sangkwanorn'. In the year 2456 BE, a Tudong Monk was passing through and asked for the whereabouts of the temple of Wat Pra Sri Radtana Maha Tat. He asked a young boy named Pin, who pointed him in the right direction. 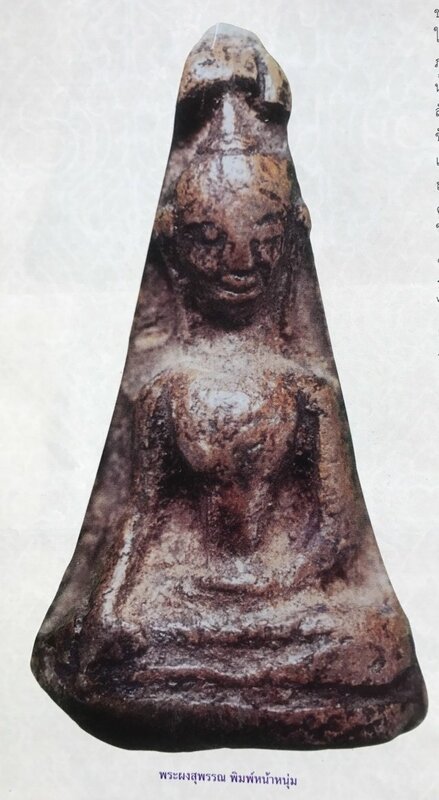 The boy Pin heard later that this Forest Wanderer monk had hired some Chiinese-Thai devotees to dig up some holes in the temple, and that a horde of treasures were found along with a large repository of hiding place amulets (Pra Kru). 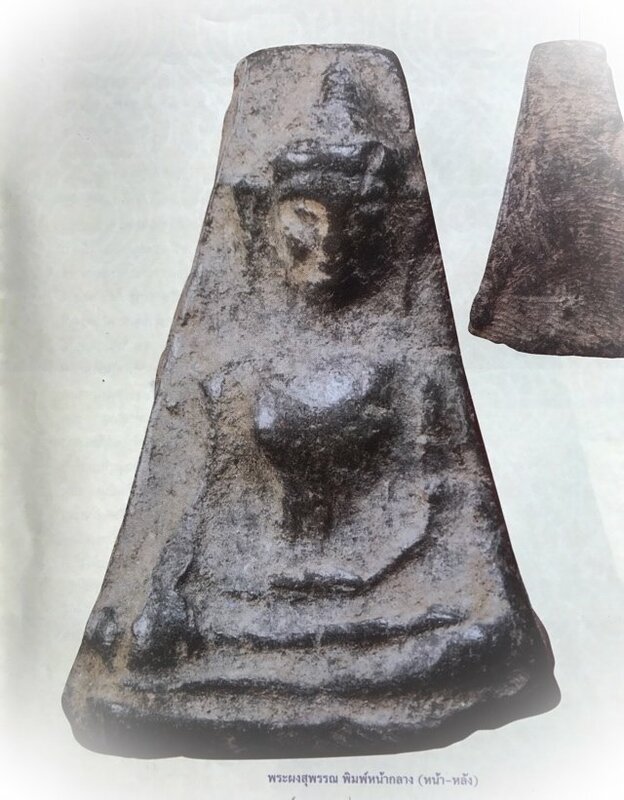 The Monk himself found a solid golden bowl which he took for preservation, but left all the rest of the contents of the Kkru within the Chedi. 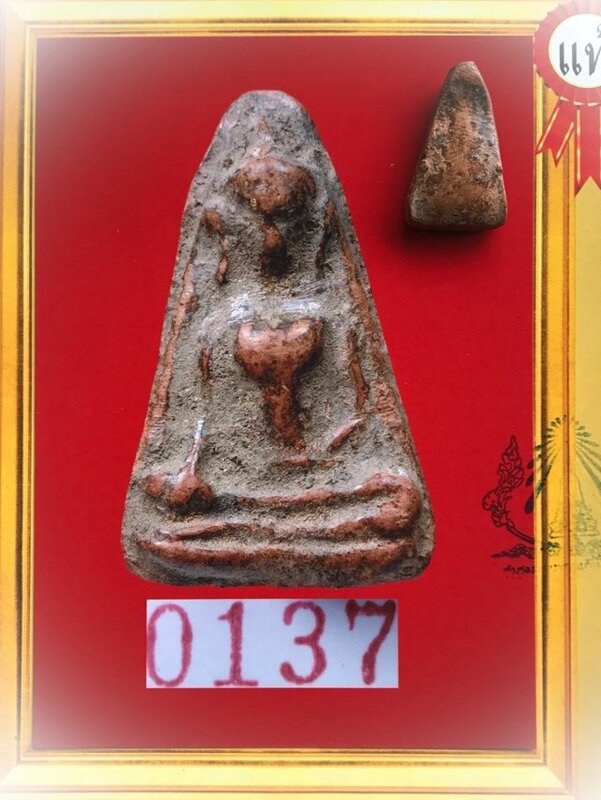 However, many of the Chinese devotees who were working on the opening of the Kru did take a large number of amulets rainging from the Pra Pong Supan to the Pra Gampeng Sork. 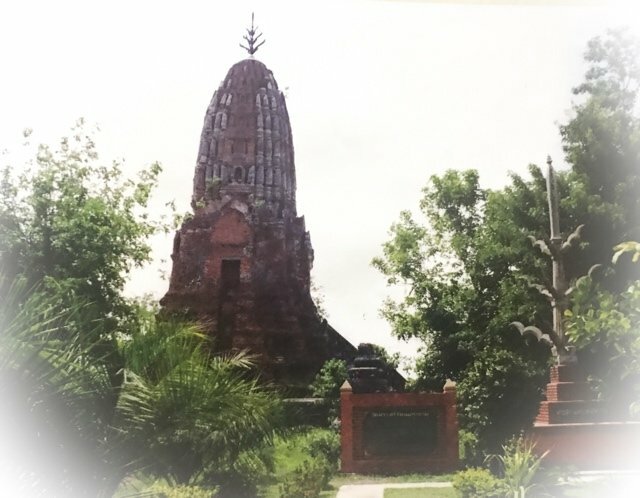 Once the authorities and Sangha Office heard of this, they ordered the Chedi Stupa to be hermetically sealed to prevent further theft of National heritage treasures. Later the same year Praya Suntorn Buri (Also knownn as 'Ee Gan Suudt'), who was the Minister of the Province of Supanburi invited his Majesty Pra Mongkut Glao Jao Yuu Hua to come and open the Kru Chamber. 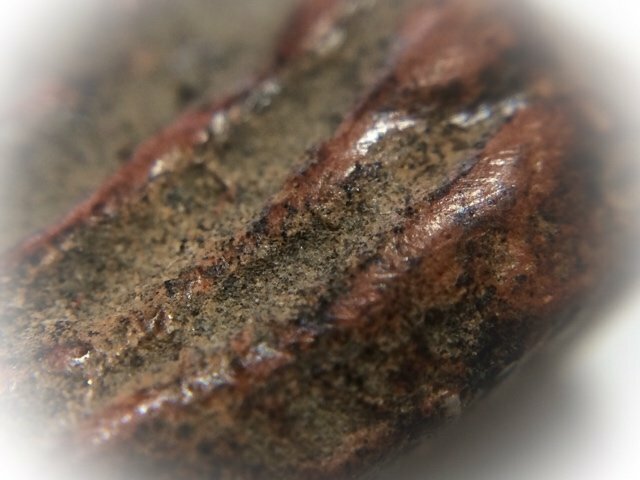 Once the chamber was opened, many ingots of solid gold and silver with Khom Agkhara inscriptions were found, and a large repository of amulets. 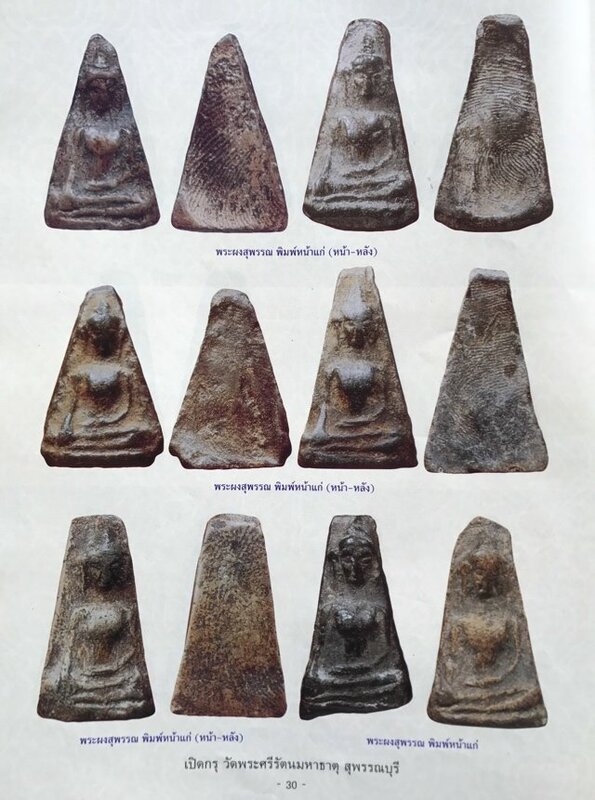 The King was given a large number of the Pra Pong Supan and other amulets to his Majesty. 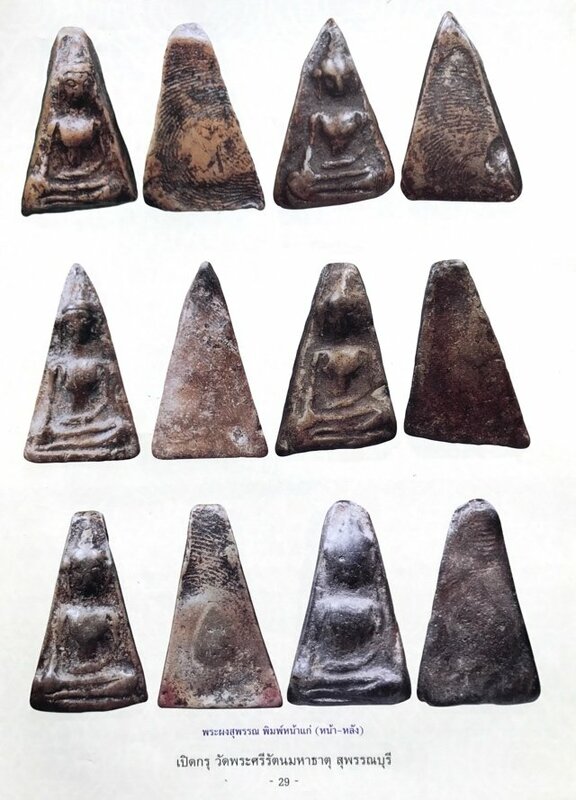 In olden days when the Pra Pong Supan was still very common and easy to find, many of the bullfighting arena players would like to grind up broken Pong Supan amulets and mix the powders into the hay they would give their fighting bulls to eat. This was seen to make the bull who ate hay with Pra Pong Supan powders fight more fiercely, evade the horns of its opponent and be impenetrable when taking a hit.